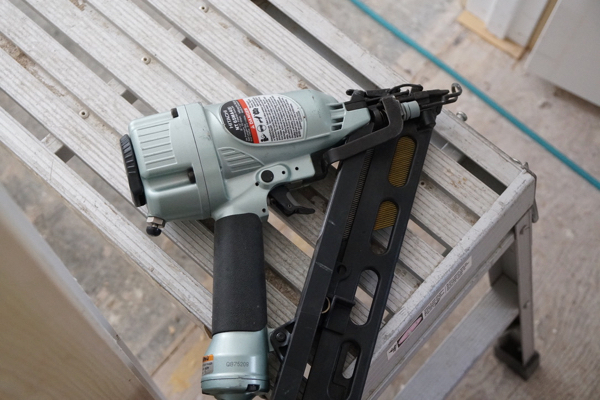 Recently we took the Hitachi 15-gauge angled finish nailer,NT65MA4 to our jobsite to review. 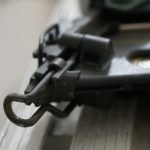 Historically we have used 16-gauge finish nails on our trim work. 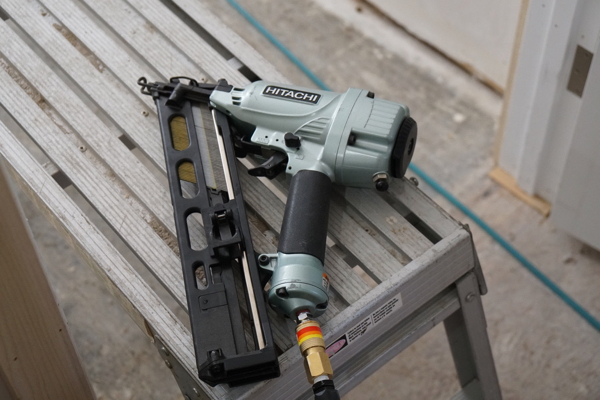 16-gauge finish nailers have a smaller diameter and generally smaller and lighter nailers. 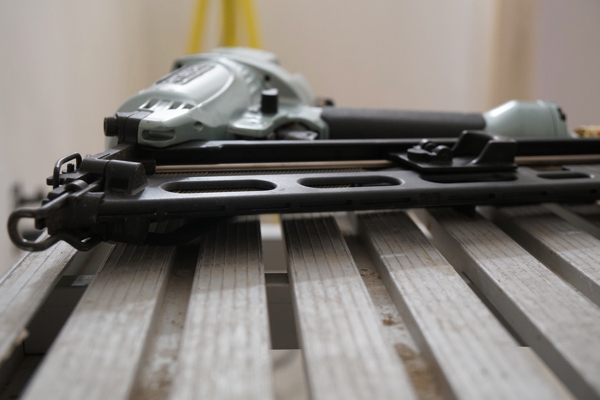 15 gauge nailers boast greater holding power, were heavier, and to be honest – we’ve never really used them much. The Hitachi NT6MA4 is a lightweight pneumatic nailer that requires oil occasionally, to keep the tool lubricated and functioning at optimal levels. It weighs 4.4 lbs. and operates on 70-120 PSI. 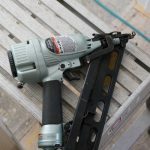 The Hitachi 15-gauge angled finish nailer, accepts 15-gauge nails [34-Degrees] ranging in length from 1-1/4 inch to 2-1/2 inch. 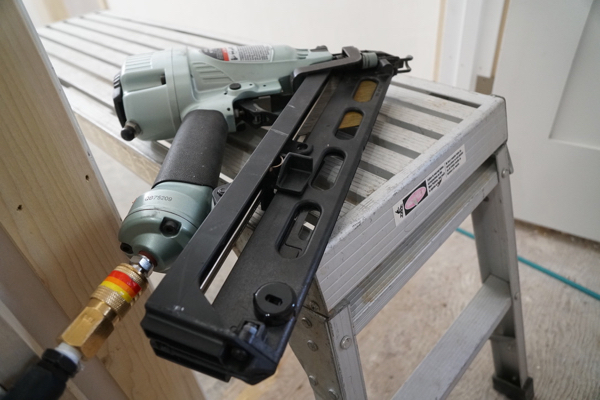 We normally use angled nailers and liked that the Hitachi angled magazine allows the nailer to fit in tight corners and spaces. 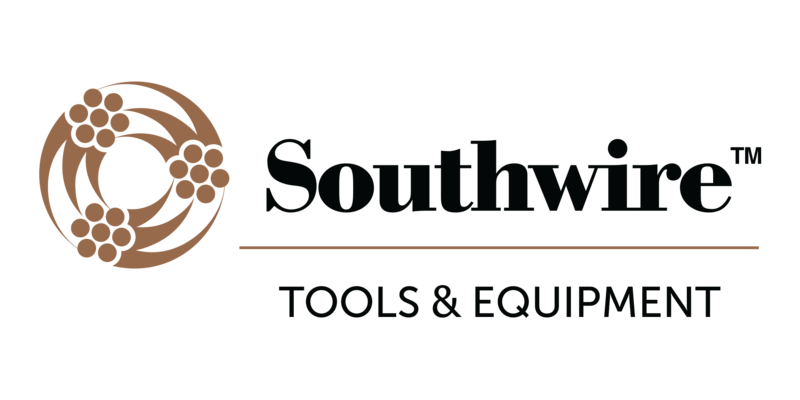 We found the nailer easy to load, its rear-loading, magazine has cut-outs to monitor the nail feeder and the magazine accepts 100 nails. A tool-less, easy-to-clear nose for quick nail extraction should a nail jam during use. 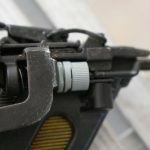 To ensure that each nail penetrates to the proper depth, a tool-free depth of drive adjustment is easy to dial in, the knob is located conveniently under the non-slip elastomer grip trigger. It clicks to adjust, meaning that you turn the dial a quarter turn each time to adjust the depth of drive. 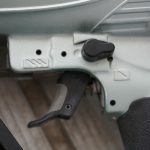 The Hitachi 15-gauge angled finish nailer has a nicely curved trigger that I found comfortable, the rubberized grip holds well. 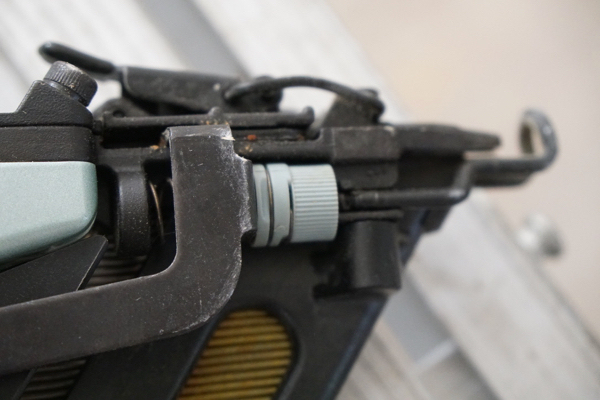 On the left side of the tool trigger is a thumb switch for the user to choose between single sequential nailing and contact actuation nailing. Contact Actuation: Switch device downward. 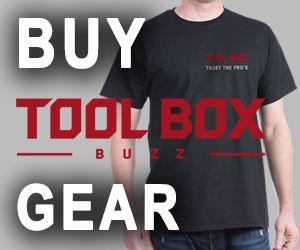 The top cover of the tool has a 360 degree fully adjustable exhaust air outlet that can be directed away from the user. I find myself adjusting this mostly when installing baseboard over dusty subfloors to avoid chewing on drywall dust. The other time I adjust it is to keep from blowing off my baseball hat. 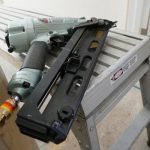 Hitachi designs nailers around applications and incorporated a dust blower in their nailers for some time now.This blower allows the user to clear debris and dust from the work surface in preparation for nailing or gluing. 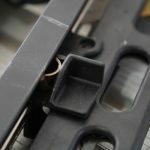 The button, located above the grip and easily reached, allows air from the compressor to bypass the nailing function and expel from a hole in the front of the tool. 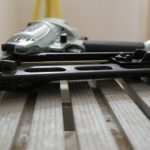 As a right-handed carpenter, I found this feature amazing and like it. Ethan, our “big-mitted,” left-handed carpenter does not like it. According to Ethan his hand hits the button when he doesn’t want to, and finds that he has to “re-adjust” his hand. Which he dislikes doing. The lack of a belt hook on this nailer was a mistake. This past week I was working up a 24” high platform and my back was aching from bending over to pick up the nailer. I tried squeezing the nailer between my legs while I positioned trim to be nailed, but that was a failure. A hook is needed, that was not fun! 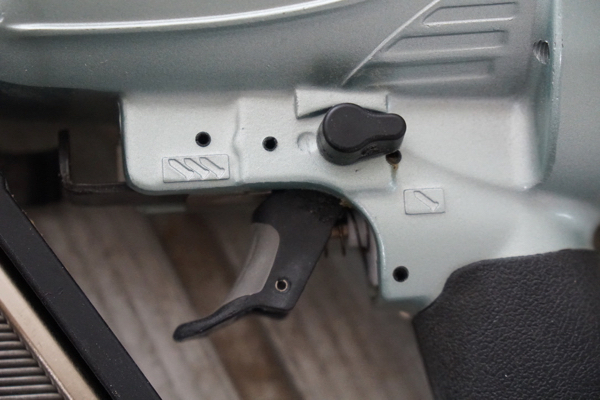 The other feature we’d like to seen this nailer is a dry-fire lock out. The Hitachi 15-Gauge Angled Finish Nailer is a solid tool and priced right at $129.00. 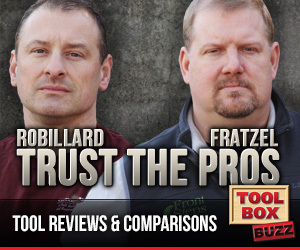 This nailer is durable, reliable, lightweight and effective for trim work. We shot approximately 1000 nails on our trim job ad experienced no feed problems. Nail placement was excellent nail, and we found that compatibility with the nails that were available locally. We especially liked that it fit into tight corners and awkward spaces with ease. Overall, an excellent purchase!